Everything is nostalgically old-fashioned in this collection of original ghost stories. As well as writing them Dave Shelton also provides opening black and white illustrations expertly executed in the melodramatic graphic style commonly found in those once popular bumper collections of sinister stories published years ago. 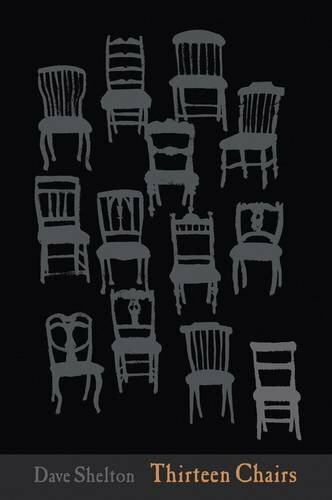 Each tale is told around a table in an otherwise empty house at night by one of twelve assorted adults. Jack, the boy who blunders into the room where all this is taking place, makes up the thirteen, but with no very happy outcome awaiting him at the end. But although the other voices come from very different individuals and backgrounds, too often their monologues end up sounding the same. Every now and again there is an arresting image, but overall the somewhat flat style employed here is often more suited to a court report than to a fictional exercise. The plots, though, are properly scary, with ghosts frequently seeing to it that a moral wrong is put right again. Plenty of blood flows in settings ranging from the Arctic to the high seas. Shelton certainly shows he has a vivid imagination, but this collection still feels curiously detached from the here and now of today, however cleverly constructed and vividly imagined.